It is tournament time once again! We are very excited for the SIXTH Annual FORE NOAH Golf Tournament and Family Barbeque happening on Sunday, April 25th, 2010, benefitting Children's Neuroblastoma Cancer Foundation (CNCF). 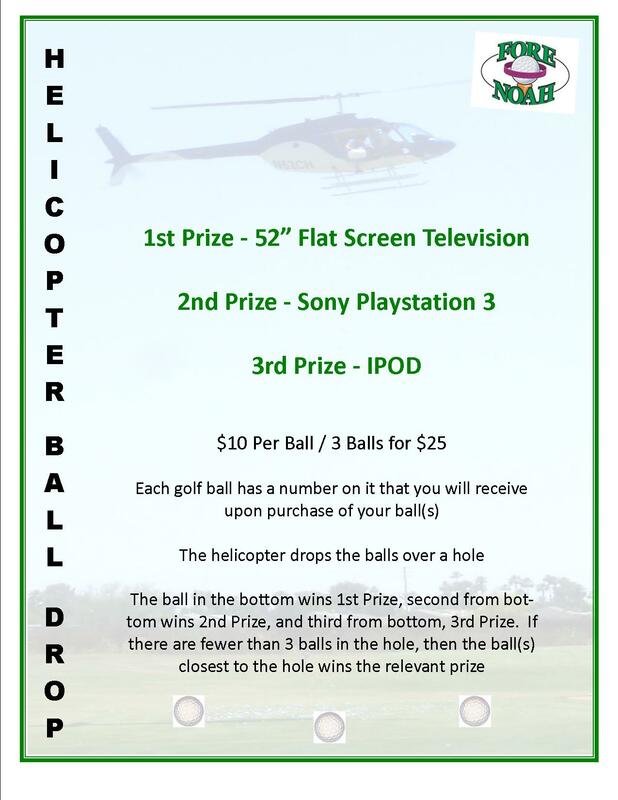 Our family-oriented event will not only feature golf but also prizes for all ages, a Hole-in-One contest, a Helicopter Ball Drop with a chance to win a 52" Flat Screen, a catered barbeque, an auction, raffle, kid's golf clinic, and plenty of childrens' activities. The post-golf activities will begin at Noon. We are in need of golfers, raffle and auction items, and volunteers. We are so grateful once again to the McNichols and Longbow Golf Club for donating their beautiful facility for our cause.